JUST AS WE THOUGHT WE KNEW THERE WAS ANOTHER PART TO THE STORY. 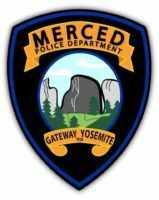 MERCED POLICE IS NOT A BAD DEPARTMENT I HAVE PERSONALLY BEEN AROUND THEM IN THE PAST. Merced, CA- On July 9, 2017 at approximately 12:56 am officers of the Merced Police Department received information that a subject wanted for a warrant was at the Hookah Lounge, located at 435 W. Main St. in the City of Merced. When the officers arrived at the lounge the doors were locked but they could hear and see people in the business. The officers knocked on another door and it was unlocked and opened. Once the officers entered they were able to visually locate the wanted subject and started to walk towards him to take him into custody. The crowd of people then became aggressive and started to challenge the officers. One of the officers was seriously injured when he was assaulted and hit in the face by several subjects that were in the business. Additional officers were called to the scene to assistant in controlling the crowd. Five people were taken into custody for the assault on the police officer and other violations. Isa Bey 22 from Oakland was arrested and booked for Battery on a Peace Officer Causing Injury, Nedir Bey 20 from Oakland was arrested and booked for Battery on a Peace Officer Causing Injury and obstructing or resisting a peace officer in his/her duties, Ciasonne Olajuwon Ratto-Foster 20 from Richmond was booked for Assault on a Peace Officer and obstructing or resisting a peace officer in his/her duties, Yakub Bey 24 and Majied Jaleel Bey 21 both from Oakland were arrested and later issued a citation for obstructing or resisting a peace officer in his/her duties. Isa and Nedir Bey were released today after they were able to post bail and Ratto- Foster was released earlier this morning from jail. The officer was transported to the local hospital where he was treated for a head injury. He was released early this morning and will continue further medical treatment. This is an ongoing investigation and further investigation is being conducted. Merced Police are asking anyone with any information regarding this crime to contact Capt. Goodwin at (209) 385-6913 or (209) 385-6288, or the Merced Police Department Tipster Line at (209) 385-4725. The public can send information via anonymous text messages to police department by dialing “TIP411” (847411) and including the word “Comvip” as the “keyword” in the text message. ← DID YOU KNOW MACKLEMORE FILMED IN MODESTO?